Summer is here, and it's time to get out and enjoy the weather. If you'll be vacationing in the next few months, you can bet that there'll be millions of other people traveling as well. It can be a hectic time, but there's one surprising thing you might already be holding in your wallet that can make your travels way easier — your credit card. It can pay off (literally) to take a few minutes to look up your credit card's Terms and Conditions (T&C) online. Keep an eye out for these eight travel perks. Your T&C will tell you exactly how to take advantage of them. And if you don't have a card that offers these travel perks yet? 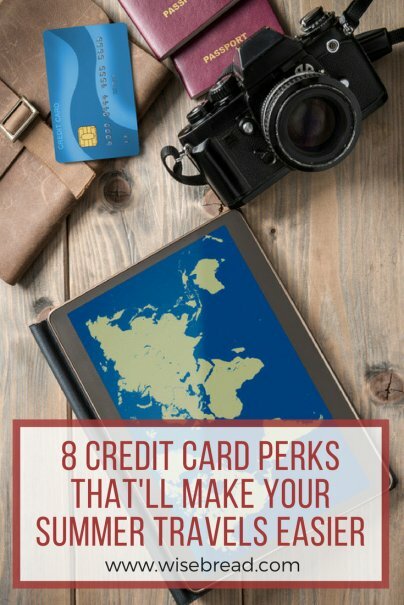 Now's a great time to see if any travel rewards credit cards might be a good fit for you, while keeping an eye out for these perks. Few things are worse at the airport than standing in line for what seems like hours and then frantically shedding and then redonning all of your possessions. Global Entry and TSA Precheck allow you to bypass most of this hassle, but they come with a hefty fee: $100 for Global Entry, and $85 for TSA Precheck. Many travel rewards cards offer you Global Entry and TSA Precheck credits, however. Usually all you have to do is make the purchase with the card, and you'll receive an automatic credit on your statement. But check your card's T&C to be sure. When the airport mobs are tight, there's no better place than an exclusive airport lounge. These lounges are usually affiliated with a particular airline or credit card. Priority Pass is one program that gives members access to a number of different types of lounges around the world. Lounge amenities vary based on which individual lounge you go to, but at a bare minimum you can expect to find a less-crowded, more comfortable atmosphere full of free Wi-Fi connections and outlets to charge your electronics while you wait. Maybe you get locked out of your car, your tire goes flat, or you hear a sharp crack while you're driving down the road. Any way you slice it, car problems are a summer road trippers' worst fear. More than that, they can be dangerous. You definitely don't want to be stranded out in three-digit summer heat with no help. That's why having roadside assistance can be a huge safety net for you while you're driving around this summer. They can help you with services like towing, a tire change, a jump-start, a locksmith, or gas. Make sure to print a copy of your roadside assistance details from your card's T&Cs so you have the phone number handy and know the program's limitations. Some roadside assistance programs, for instance, will only cover a certain dollar amount worth of services. Unless you plan on staying at the airport for your entire trip, chances are you'll need to find a mode of transportation to take you to your final destination. Some credit cards allow you to earn points that can be redeemed for Uber rides, while others give you Uber credits every month as a perk. To use the latter, you simply link up your credit card in the Uber app. Then, when you're getting ready to take a ride, you simply select the credits as payment for your ride. Sure, you can use your phone to Google a lot of things these days. But if you're out adventuring in the sticks or camping somewhere remote, sometimes you'll find yourself with an internet signal that's frustratingly slow. In this case, it might be easier to just call up someone who can answer your questions or help guide you over the phone, such as a phone-in concierge service. Believe it or not, many travel rewards credit cards come with such a perk. Depending on your credit card's concierge program, you can call them up and ask them to help you with things like finding the nearest mechanic; booking tickets or making reservations at hotels, restaurants, or events; or even to helping you plan your trip. Speaking of internet connections, it can be frustrating to find them when you're en route between destinations. Boingo Wi-Fi is one product that can help you stay connected while you travel. 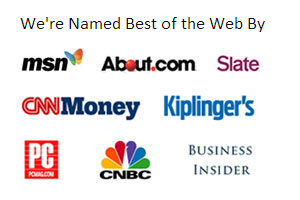 They've got more than 200,000 hot spots around the country and over one million spots around the world where you can connect securely. Normally this service costs $10 per month, but with some travel rewards credit cards, you can get a complimentary membership. One of the most common travel perks on credit cards is a status upgrade. Some cards automatically give you status upgrades at hotels, airlines, or with rental car companies. Depending on the program, these can add just a nice little touch, or they can be travel lifesavers. For example, if you're a tall person and you're trying to save a buck by renting a car that's the size equivalent of a golf cart, having an automatic upgrade to a full-size rental car can be a game-changer. If you're on the road a lot or you're trying to enjoy an all-too-infrequent vacation, being automatically upgraded to a nicer room with a breathtaking ocean view and a soft-as-silk bed can turn your mere travel experience into a luxury vacation you'll never forget.